This article is part of The Nation’s 150th Anniversary Special Issue. Download a free PDF of the issue, with articles by James Baldwin, Barbara Ehrenreich, Howard Zinn and many more, here. Christmas, the day after, in 2004, following the presidential re-election of George W. Bush. I felt foolish the rest of the morning, especially when I recalled the artists who had done their work in gulags, prison cells, hospital beds; who did their work while hounded, exiled, reviled, pilloried. And those who were executed. The list—which covers centuries, not just the last one—is long. A short sample will include Paul Robeson, Primo Levi, Ai Weiwei, Oscar Wilde, Pablo Picasso, Dashiell Hammett, Wole Soyinka, Fyodor Dostoyevsky, Alexander Solzhenitsyn, Lillian Hellman, Salman Rushdie, Herta Müller, Walter Benjamin. An exhaustive list would run into the hundreds. 1. Select a useful enemy—an “Other”—to convert rage into conflict, even war. 2. Limit or erase the imagination that art provides, as well as the critical thinking of scholars and journalists. 3. Distract with toys, dreams of loot, and themes of superior religion or defiant national pride that enshrine past hurts and humiliations. The Nation could never have existed or flourished in 1940s Spain, or 2014 Syria, or apartheid South Africa, or 1930s Germany. And the reason is clear. It was born in the United States in 1865, the year of Lincoln’s assassination, when political division was stark and lethal—during, as my friend said, times of dread. But no prince or king or dictator could interfere successfully or forever in a country that seriously prized freedom of the press. This is not to say there weren’t elements that tried censure, but they could not, over the long haul, win. The Nation, with its history of disruptive, probing, intelligent essays sharing wide space equally with art criticism, reviews, poetry and drama, is as crucial now as it has been for 150 years. In this contemporary world of violent protests, internecine war, cries for food and peace, in which whole desert cities are thrown up to shelter the dispossessed, abandoned, terrified populations running for their lives and the breath of their children, what are we (the so-called civilized) to do? The solutions gravitate toward military intervention and/or internment—killing or jailing. Any gesture other than those two in this debased political climate is understood to be a sign of weakness. One wonders why the label “weak” has become the ultimate and unforgivable sin. Is it because we have become a nation so frightened of others, itself and its citizens that it does not recognize true weakness: the cowardice in the insistence on guns everywhere, war anywhere? How adult, how manly is it to shoot abortion doctors, schoolchildren, pedestrians, fleeing black teenagers? How strong, how powerful is the feeling of having a murderous weapon in the pocket, on the hip, in the glove compartment of your car? How leaderly is it to threaten war in foreign affairs simply out of habit, manufactured fear or national ego? And how pitiful? Pitiful because we must know, at some level of consciousness, that the source of and reason for our instilled aggression is not only fear. It is also money: the profit motive of the weapons industry, the financial support of the military-industrial complex that President Eisenhower warned us about. Forcing a nation to use force is easy when the citizenry is rife with discontent, experiencing feelings of a powerlessness that can be easily soothed by violence. And when the political discourse is shredded by an unreason and hatred so deep that vulgar abuse seems normal, disaffection rules. Our debates, for the most part, are examples unworthy of a playground: name-calling, verbal slaps, gossip, giggles, all while the swings and slides of governance remain empty. For most of the last five centuries, Africa has been understood to be poor, desperately poor, in spite of the fact that it is outrageously rich in oil, gold, diamonds, precious metals, etc. But since those riches do not, in large part, belong to the people who have lived there all their lives, it has remained in the mind of the West worthy of disdain, sorrow and, of course, pillage. We sometimes forget that colonialism was and is war, a war to control and own another country’s resources—meaning money. We may also delude ourselves into thinking that our efforts to “civilize” or “pacify” other countries are not about money. Slavery was always about money: free labor producing money for owners and industries. The contemporary “working poor” and “jobless poor” are like the dormant riches of “darkest colonial Africa”—available for wage theft and property theft, and owned by metastasizing corporations stifling dissident voices. None of this bodes well for the future. Still, I remember the shout of my friend that day after Christmas: No! This is precisely the time when artists go to work. There is no time for despair, no place for self-pity, no need for silence, no room for fear. We speak, we write, we do language. That is how civilizations heal. I know the world is bruised and bleeding, and though it is important not to ignore its pain, it is also critical to refuse to succumb to its malevolence. Like failure, chaos contains information that can lead to knowledge—even wisdom. Like art. 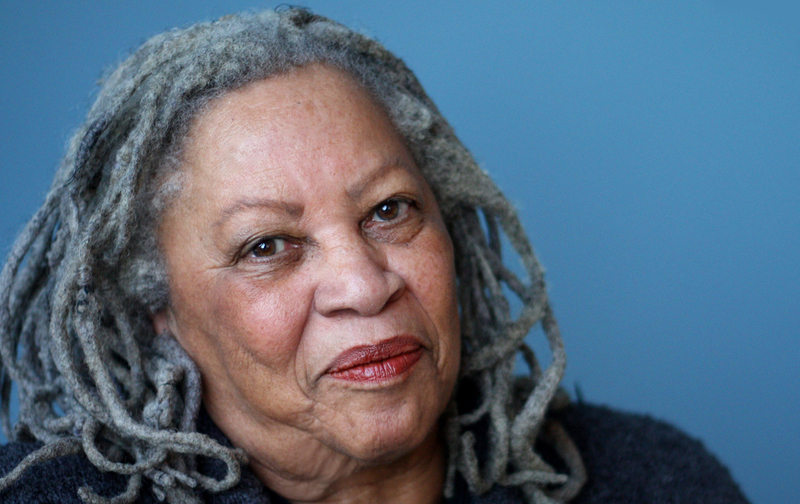 Toni MorrisonRecipient of the 1993 Nobel Prize, member of The Nation's editorial advisory board and author of Love, Beloved, Paradise, Jazz and The Bluest Eye, among other books.